At the age of 21, finished uni and unsure what to do with my life, I was not in a great place. My friends all seemed to have careers planned and to me they looked like they were sorted for life. It was in a moment of despair, desperately trawling the internet for something to make my life worthwhile that I came across the ACE website. A whole year passed before I actually left my small home town in the North of Scotland to begin the journey to Johannesburg. I funded most of my trip myself, but also did some fundraising, inviting friends and family to a tea dance in a village hall and a ceilidh in a hotel. Cakes were baked, posters were made and it all seemed very jolly and exciting, but I still didn’t really know what I was getting involved in. I had no idea how important my feeble attempts at fundraising were, and how much of an impact on the animals’ lives I was going to have. The time finally came, a year and a day from the moment I spontaneously sent away the application. I had studied in my home town and had never done anything without the comfort of my parents not far behind me. Yet here I was embarking on my very first solo trip and, quite frankly, I was terrified. Arriving in Johannesburg airport early in the morning, myself and the other volunteers were met by the lovely Martin and Natalie who made us feel welcomed and calmed nerves – it was nice to have someone taking control! They rounded up all the volunteers together and gave us our first taste of what to expect. It was explained to us the importance of what we were about to do, both physically and financially. Many of the centres ACE send volunteers to rely heavily on the funding from the volunteers. Without having even done anything yet, we had already made a huge difference. But even at this point, I was still unaware of not only the impact I was having, but also the impact that South Africa would have on me. 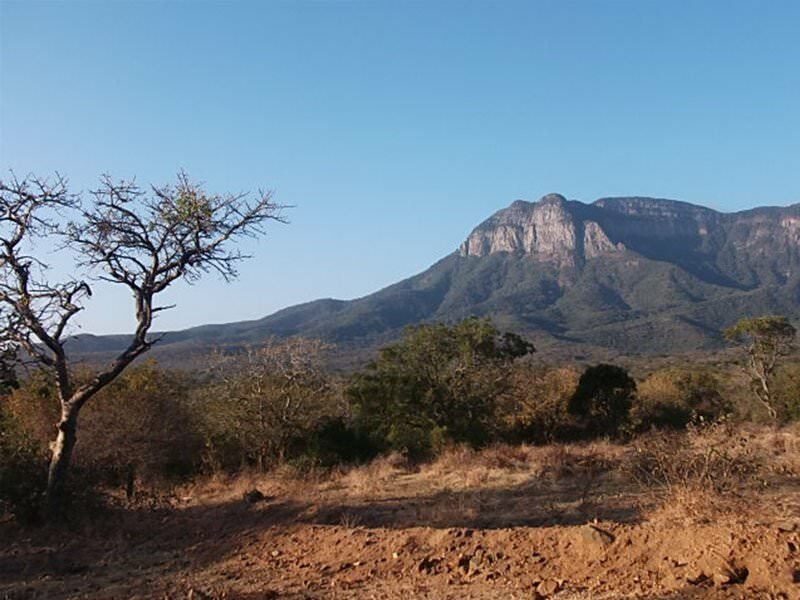 Moholoholo Rehabilitation Centre is in the Limpopo Province of South Africa, surrounded by the beautiful Drakensburg Mountains. 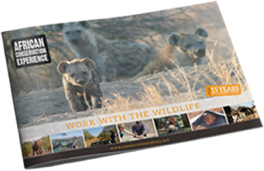 It looks after a variety of animals, from the extensive cheetah ambassador programme, to the collection of vultures and eagles, a baby spotted genet to a rhino baby with an uncertain future. 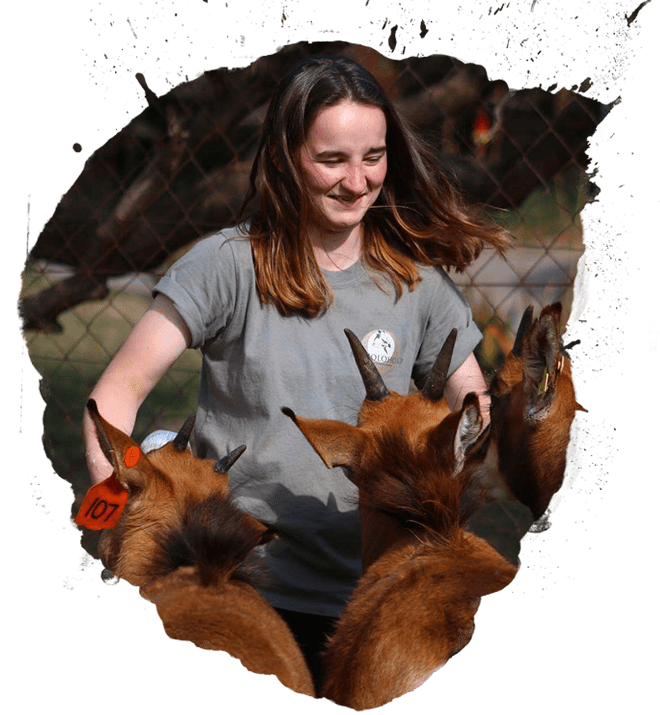 Moholoholo is run by a dedicated team of staff, who work night and day to ensure the animals are all correctly cared for and safe. The staff have so much to do with all the animals that they really rely on the team of volunteers there to help clean and tidy and generally take the strain. Our daily routine began at 6.45am with morning rounds. You are divided into four groups, and each group has their own set of animals that they are responsible for. You feed them, clean their enclosures, make sure they are safe and happy and help provide enrichment to keep their daily lives exciting. 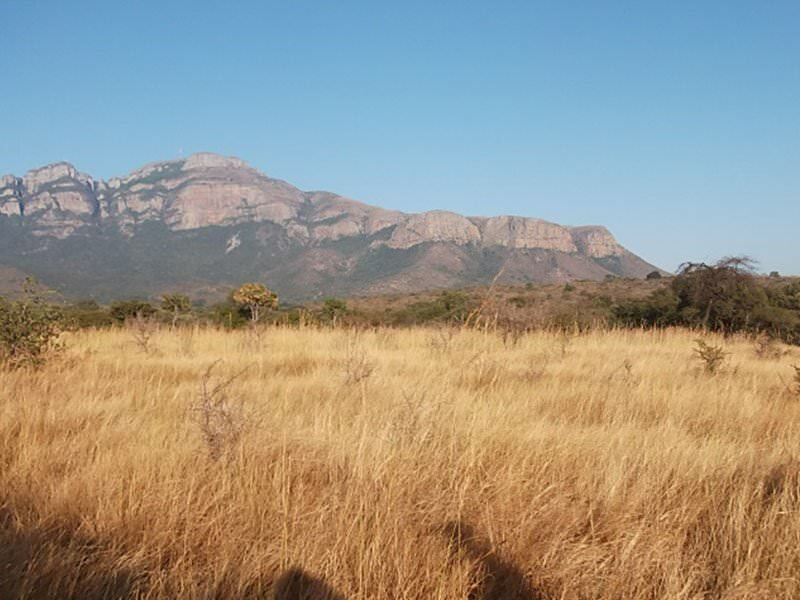 After morning rounds we headed down to Forest Camp for breakfast – a fairly refreshing walk down a forest path, surrounded by the sounds of baboons calling each other and the early morning song of the birds. After breakfast you meet in the clinic to discuss what will be done during “big jobs”. Then you have a free afternoon until afternoon rounds. On my first day at Moholoholo I was involved in a rhino walk, which is as incredible as it sounds. We chaperoned a young rhino on a walk through the bush, providing him with exercise, mental stimulation and a bit of fun. We took him to a mud wallow and massaged the mud into his skin as he rolled around in it. 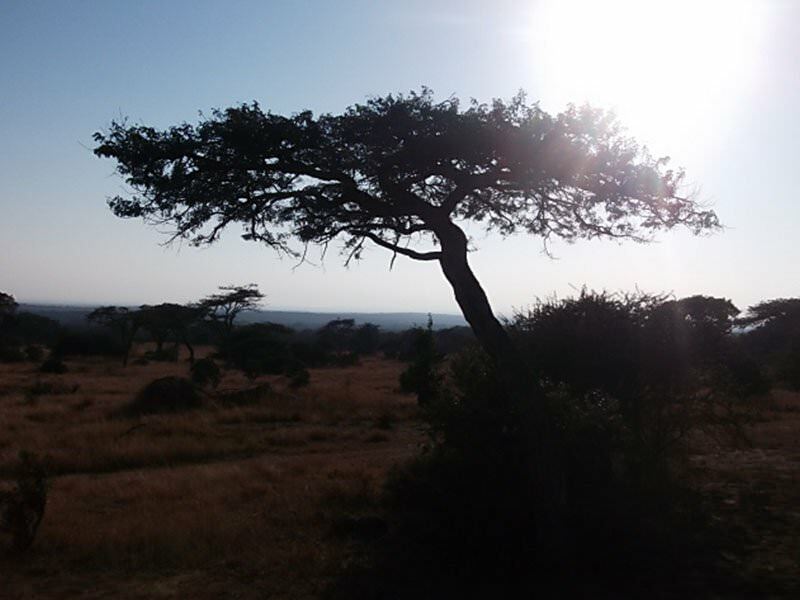 At this moment it fully hit me that I was in Africa, and it all seemed a bit overwhelming! This is just one of many unbelievable things that I was able to take part in. I was also lucky enough to spend a night sleeping in a wooden hide in a big five reserve, surrounded by the sounds of wild animals, fully immersed in the African wildlife. I volunteered at Moholoholo for four weeks, which allowed me plenty of time to get used to my rounds and the routine, but it also allowed me the opportunity to be given my own “special cases”. These are animals that require an extra little bit of care, whether that be extra feeds or special attention. I was able to look after two spotted eagle owls who both had sight problems. 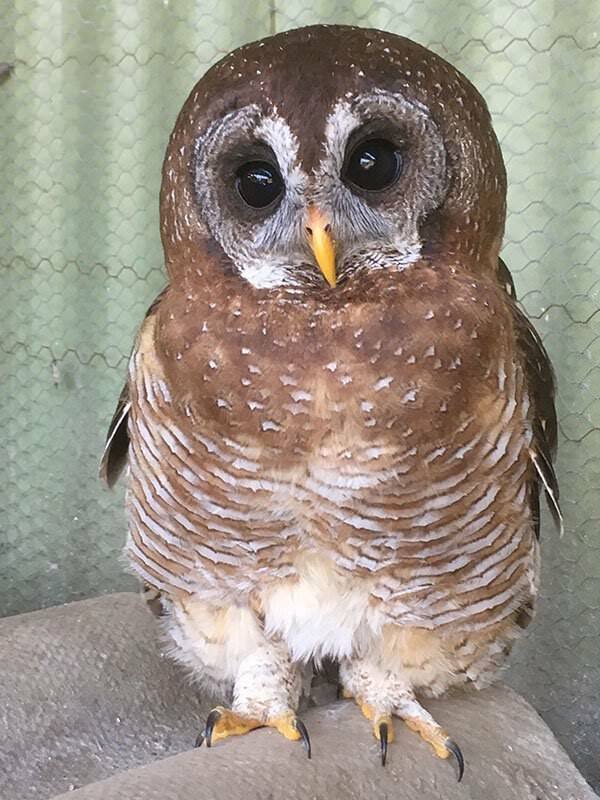 They needed to be treated carefully as they were skittish due to their visual impairment and it was very important that they did not injure themselves in fright. I was also able to bottle feed the baby sables (large antelope) three times a day. This required getting up extra early to feed them before morning rounds, feeding them again at lunch time and also staying behind after evening rounds to feed them again. This extra bit of responsibility really made me feel like I was making a difference. The sables got used to me feeding them and would follow me if they saw me heading up to make up their bottles, relying on me like they would their mother. Sadly, many of the animals in the centre will never be able to be released back into the wild, whether that be because they are injured and would be unable to survive, or due to them having been hand raised and therefore unsafe out in the wild. A hand raised rhino is an easier target for poachers – it is used to human contact and would approach any human it sees. 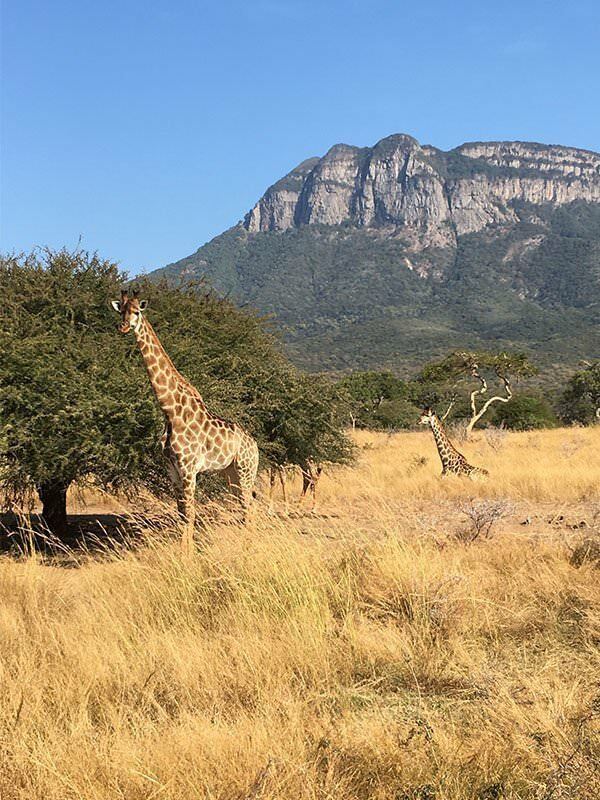 As wonderful as all the one to one contact with the animals at Moholoholo is, it is VERY important to realise that you are not there to simply cuddle wild animals. The animals are there because they have no option. They are still wild animals and need to be treated with the utmost respect. It is also very important to realise that not every animal can be saved. Moholoholo is great at involving the volunteers in absolutely everything that goes on with the animals, whether it be good or bad news and it is very important to be prepared for both. I spent a lot of time looking after lovely animals, but also I witnessed some very gruesome, upsetting things. These made it a more rounded experience and I understand that this is all part of working with wildlife. My time at Moholoholo gave me exactly what I was looking for. 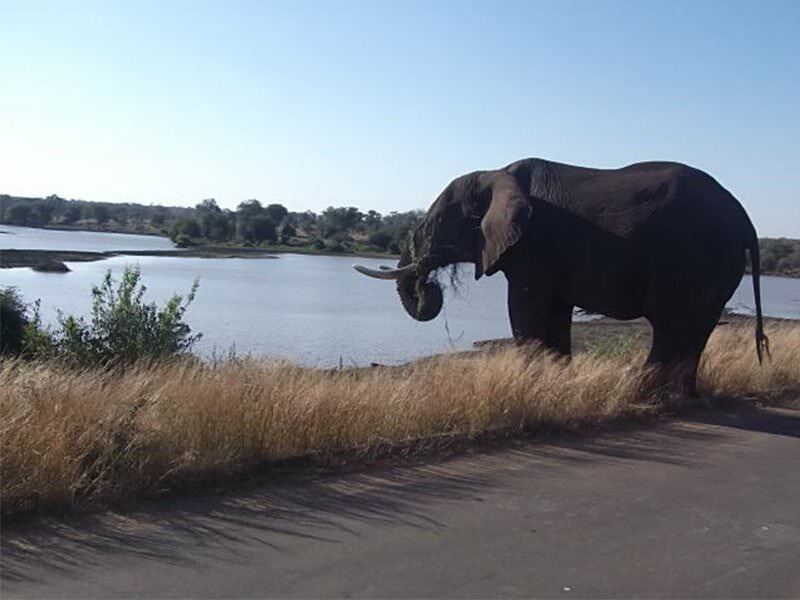 I did get to do all the wonderful touristy things I had hoped for – going on a safari and spotting giraffes and lions in the wild, and going on a boat trip on the Blyde River Dam. However, I also experienced the darker, harsher side of things. 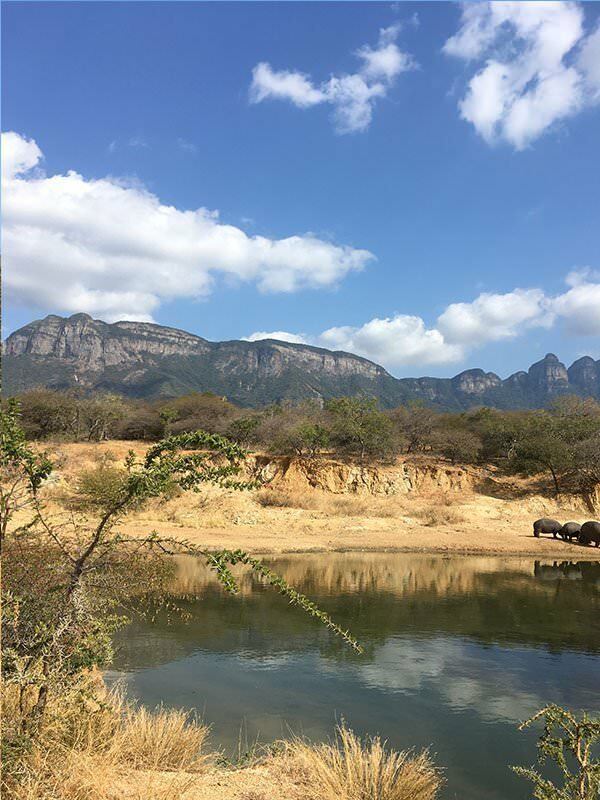 I got to understand first-hand how difficult the rhino poaching situation was – within my first two weeks at Moholoholo there were three rhinos poached in the surrounding area. I was able to see the toll that human beings have taken on wild animals, pushing some of them to near extinction. It was very tiring, with long days filled with physical work, and some days were extremely emotional too. But it was the most rewarding, beautiful four weeks of my life and I am so, so glad that it was something that I was able to do. On my first day at Moholoholo I was involved in a rhino walk, which is as incredible as it sounds. We chaperoned a young rhino on a walk through the bush, providing him with exercise, mental stimulation and a bit of fun. This is just one of many unbelievable things that I was able to take part in.